Provide interpretation of key features of the Gateway Visitor Center site. Funding for this project is provided through a Task Agreement between the Erie Canalway National Heritage Corridor and Lakes to Locks Passage, Inc. The development of a visitor center in partnership with regional organizations that share the goals of preserving, interpreting, and promoting the Corridor’s heritage resources, furthers the mission of the Erie Canalway National Heritage Corridor and implements the goals of the Erie Canalway Preservation and Management Plan. 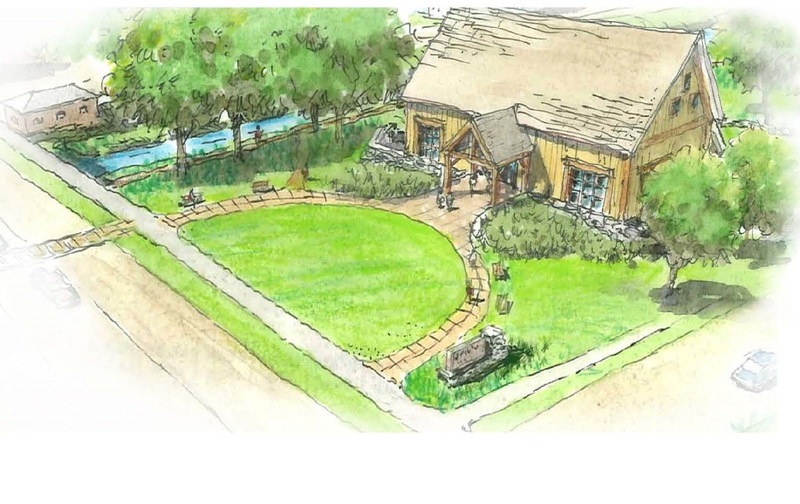 The proposed Canal Region Gateway Visitor Center will be located on the property previously utilized by the Town of Saratoga for the Town Hall, adjacent to Fort Hardy Park, located on NYS Route29/Ferry Street in Schuylerville New York. This project will address the programmatic needs for a Visitor Center including, but not limited to, exhibit space, visitor circulation, operations, storage, maintenance, and potential vender space.